For over 20 years PlayBoard has been developing and delivering focused training for the play sector across Northern Ireland, Great Britain and the Republic of Ireland. 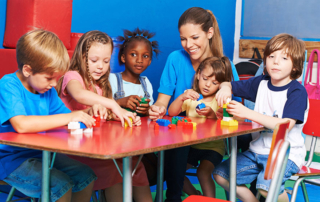 As an organisation committed to excellence, PlayBoard ensure that all training staff are highly qualified, occupationally competent and capable of meeting the training needs of the Play/Playwork sector. PlayBoard’s training typically offers participants an opportunity to take part in group work, focused discussions and a range of practical activities designed to support practitioners to reflect on their own playwork practice. Through training participants are able to learn new skills and have an opportunity to explore and reflect on their current practice against the Playwork Principles. For further details of the training programmes currently on offer please contact PlayBoard on 028 9080 3380. In addition to a wide range of established training courses, PlayBoard are able to offer flexible bespoke training and consultancy services across the UK and Ireland tailored to meet the needs of individual groups and organisations. Courses can be individually tailored to meet the needs of participants and can be delivered locally at suitable venues and at flexible times including evenings and weekends. All PlayBoard training is delivered within a quality framework, as extablished by the SkillsActive Code of Practice. SkillsActive is the sector skills council for playwork; their quality contril framework identifies minimum standards and guiding principles for the delivery of training. This course aims to equip participants with the skills; knowledge and understanding that will help them to carry out their playwork practice more effectively. Areas covered include identifying the needs of children; developing the understanding, skill and confidence to meet these needs and promoting the value base of playwork. 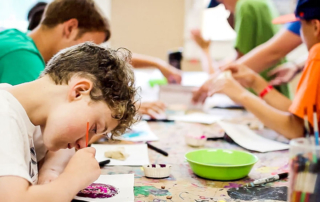 Aimed at staff whose main role is to provide opportunities for freely chosen, self-directed play; this course equips participants with the knowledge and skills they need to plan and implement play opportunities within a play environment. This course is aimed at supporting practitioners to engage more effectively with parents, carers and families in a playwork context. This course aims to explore with playworkers how to manage the balance between risk and safety in settings; to explore the benefits of managing and balancing risk with the play value of different play opportunities; and how to develop risk assessment procedures that support this. What is risk and what are hazards? This course aims to support practitioners in providing opportunities for physical play by exploring play types and how to meet the physical play needs of children and young people. This course aims to explore a range of creative ways to support play for children and young people. By using materials in new and innovative ways and offering creative and exciting things to make and do a number of different play types can be supported. This course aims to explore the purpose of individual and team reflective playwork practice; the purpose of observing children playing and how to carry out observations that help with reflective practice by the Playworker. The aim of this course is to support Playworkers to explore the issue of challenging behavior.